Varicella with oral and cutaneous involvement. This child's illness was more severe than her younger sibling, from whom she contracted the chickenpox. 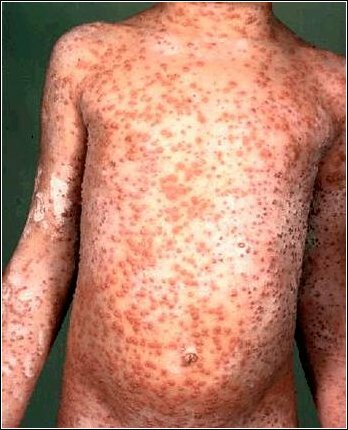 Extensive varicella rash of child above. See more varicella here and here.